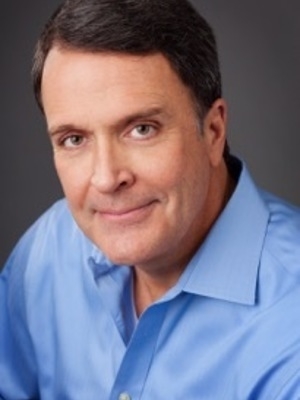 The basis for Mark Sanborn's International Bestselling, The Fred Factor, this presentation will reveal the secrets of extraordinary individuals who have learned how to reinvent themselves and their work to create added value for customers and colleagues without spending more money to do it. If you are looking for a high-content presentation that will educate, entertain, and impact this is the speech. As one of our foremost thinkers, authors and speakers on leadership, Mark has found that the true heart of leadership is not always found in a title or a corner office but in the skills, behaviors and everyday actions that influence the lives of those around us. You’ll learn to develop both your employees’ and your own leadership abilities by understanding that true leadership is not power over the people but power with the people. You Don’t Need a Title to Be a Leader is a message that will resonate with those who aspire to make a positive difference — regardless of title or position. How to Give a Remarkable Performance! A remarkable performance on stage commands an encore. The Encore Effect—Mark's latest, high impact presentation—teaches you how to achieve the kind of extraordinary performance on the job that leave your customers, colleagues and community clamoring for more. 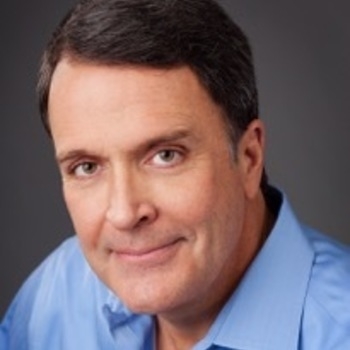 Mark Sanborn's latest book, The Encore Effect: How to Give a Remarkable Performance in Anything You Do will be released by Random House, September 2008. How to Succeed When Times are Good, Bad or In Between! Can You “Crush” an Economic Curve Ball? There is global instability in the financial markets, the U.S. faces the threat of another recession, unemployment is high and consumer confidence is low. How are you doing in your business? Mark Sanborn has insights that will help you keep hitting it out of the park despite the wicked curve balls you’re being thrown. In just one year, Mark simultaneously faced a life-threatening shockwave, business challenges and his investments took a serious hit. Vigilant managers expect unpredictability to pounce from behind every bend. So, they vigorously apply what Mark found to be the six (often malnourished) principles that always insure victory. Mark’s epiphany was, “setbacks can actually fuel your survival and prosperity”… in economic conditions that go Up, Down or Sideways. That’s why you need this presentation. Sanborn shows your team how to prepare for unpredictability. He coaches you on how to inspire sane leadership during insane times. Despite the cheerful claim that “we choose not to participate in the recession,” the reality is that your business and customers are affected by such an economic downturn. Mark can show you how to succeed in spite of such challenging conditions. Up, Down or Sideways is bursting with actionable ideas. 2. Focusing on the Only Two Ways Any Organization Can Grow. How to determine when your leaders (and their people) have stopped growing. If they aren’t growing, your business has no chance of growing either. 3. Don’t Overthink “Metrics.” Only two interconnected metrics matter: (A) great people and (B) great results. You’ll learn how to consistently inspire both people and profits. 5. How to Identify if Your Employees Are Wasting Your Money … and Their Time. You’ll leave this program knowing how to get your people to focus on the MVP (most valuable and profitable) activities. 6. Learn the Economic Advantages of Practicing Gratitude. It doesn’t do much good to be grateful if you aren’t demonstrating the most crucial behaviors. You’ll learn the precise values great leaders always “model” to their employees, colleagues and customers.